I used this tutorial, and tweaked it a bit so it would fit our friend. The ruffled sleeves ended up looking more like capped sleeves when I was finished, but I liked it even more because of that. I think the buttons added just the right amount of pink too…. I can’t wait to see her in it this summer at the park! For my husband’s cousin who is expecting her first baby this March, I decided to throw my fears aside about making bias tape aside and delve into the kimono pj’s from this Amy Butler book. 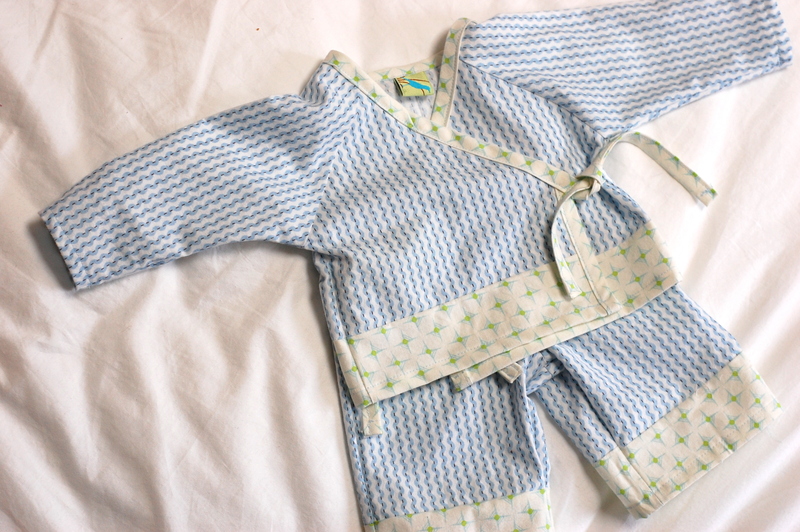 The bias tape making went very well… so much cuter than the stuff I’ve been buying! This is a 0-3 month size and I have to say that Amy’s instructions for cutting a 19″ piece of elastic for the waistband seemed WAY to big. I followed her instructions anyway, but once they were made I went back in and cut out a couple inches from the elastic. 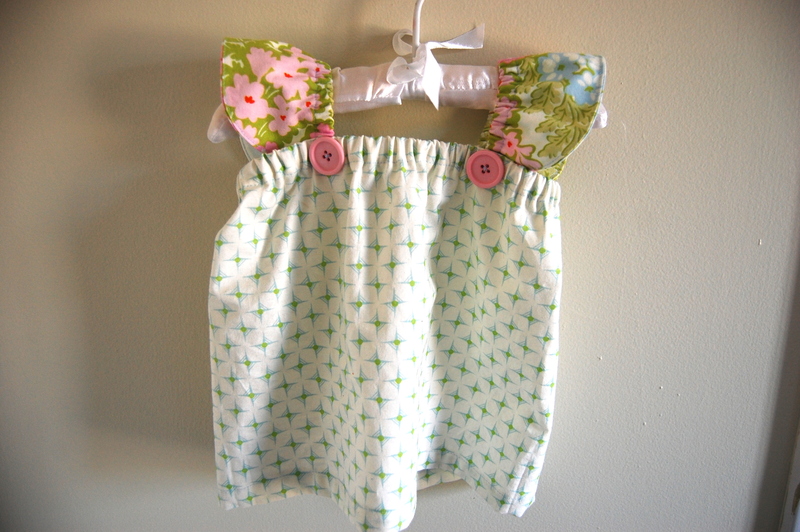 I use 19″ elastic pieces when making skirts for 18 month olds, so…. I don’t know. Wonder if anyone else has thought the same thing? < Previous Liven up your January…. Next > Oldies, but goodies. I love those PJs! Can you make them in my size? Prolly can’t afford that much fabric.